The battle for a digital wallet replacement rages on, as Google reveals plans to expand Google Wallet with new features. Google Wallet's head of product management, Robin Dua, spoke at a developers Q&A session about how the company will open up Google Wallet to information beyond mobile payment details and credit card numbers. "We want to create a wallet that actually allows you to leave your leather wallet at home," Dua reportedly said. "We've started with payment cards, loyalty cars, and gift cards, and we're focused on getting other kinds of credentials." 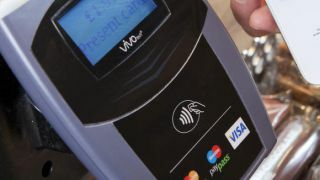 While there's no timetable for when it will launch, there are plans to expand Google Wallet with geo-location features. For example, handsets could automatically pull up the correct loyalty card when it detects you're in a movie theater or coffee shop. Google's next focus for Google Wallet is to store travel information. The firm is currently working with airlines to get access for plane tickets and flight itineraries in Google Wallet. "Transit is a really important use case," Dua added. "People ride transit systems multiple times a day, and there's a great opportunity here to simplify the payment experience. "One of the types of things we're trying to do is make it easy for airlines, transit providers, and other types of issuers of credentials to make it super simple for them to get their credentials stored in the wallet." Google Wallet has already begun taking over transit, as a pilot program in New Jersey allows users to pay for and use bus passes directly through the app. Adding travel tickets and itineraries to Google Wallet brings it a step closer to what Apple proposed when it announced Passbook for iOS 6. Passbook is an e-ticket app that will store loyalty cards and tickets for movies, trains, and flights. Strong rumors have surrounded the iPhone 5, suggesting that it may include an NFC chip. The chip would enable the iPhone 5 to store mobile payment information like Google Wallet. The rumors have been fueled even more recently due to leaked assembly photos of the next-gen iPhone showing a new chip that is believed to support NFC. Windows Phone 8 will also feature NFC support with its own Microsoft Wallet app. Microsoft announced that its smartphone wallet replacement will store credit, debit, and loyalty card info, but travel tickets are not on the table at this point. Smartphones have already become the only device that some people need to carry around, and with the increase of wallet apps and features they may soon replace the entire contents of pockets and purses the world over.